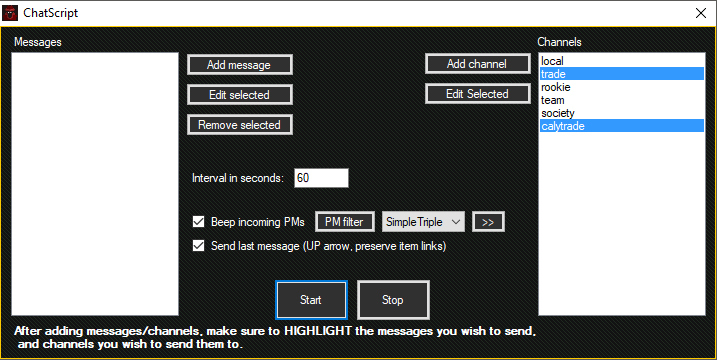 The script can send multiple messages to multiple channels. Sound notification for incoming PMs. PMs can be filtered to only trigger if they contain certain words. Names of players that PM you are stored to a temporary array to prevent trigger spam. The script can also send your last sent message by using the UP arrow, to preserve item links, as they won't work when copy/pasted.